Another political metaphor in the form of a headless trout. It's only because we're being spammed with so many of these little sound-bites lately. I'm waiting with baited breath for election season to get done with and go away... again. 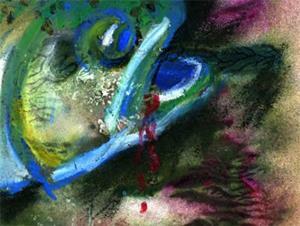 This piece began as an acrylic monoprint on Rives BFK paper that I wasn't too fond of. 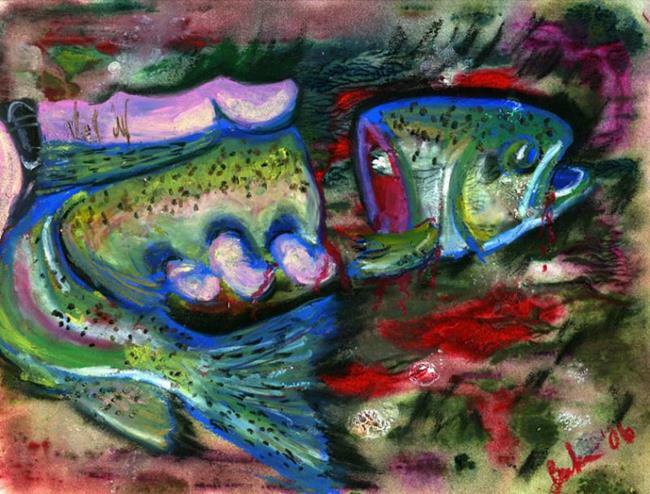 I reworked the piece using oil pastels, at which point a decapitated trout magically appeared. If you get too close to the piece, you can almost hear the trout's gurgling, sttrangled plea of "vote for me!"